A beautifully designed Wedding Candle made to mark a special occasion in the life of the Church, and the life of those who know the happy couple. Wedding Candle (Each) is published by Charles Farris and is our 1168th best seller. The ISBN for Wedding Candle (Each) is WC-05P. 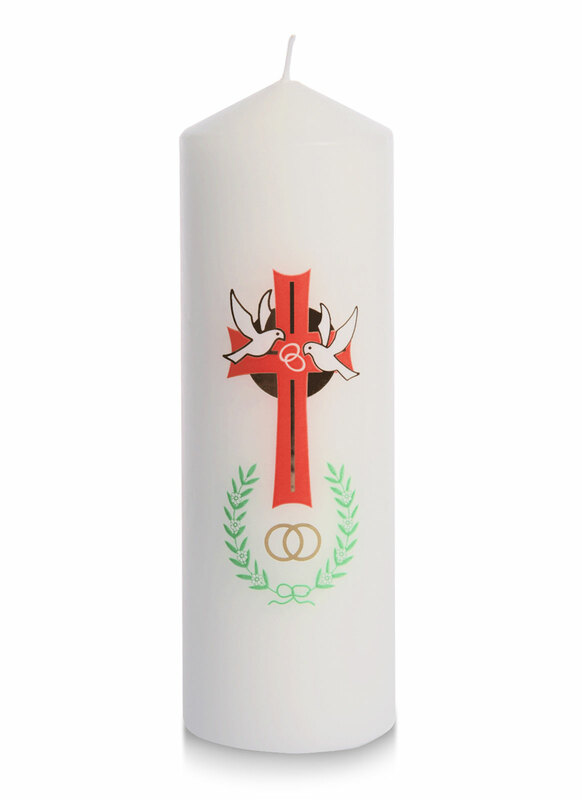 This candle is just right for our weddings in church, as we offer them to the couples to light during their wedding ceremony. Thank you so much. Got a question? No problem! Just click here to ask us about Wedding Candle (Each). Hi, I am interested in buying a wedding candle and would like to know the burning time if possible? Many thanks.